40 minutes total running time. 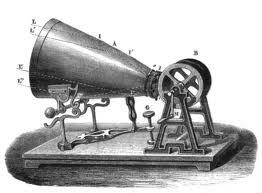 Utilizing the 10 second sound source of the very first known vocal recording from 1860. Recorded a phonautograph paper recorder by Édouard-Léon Scott de Martinville. Computer mangling, manipulation, stretching and skipping of this 10 second vocal source was recorded on Feb 23, 2011 by Daniel Menche.